We had a very nice weekend in Latvia 12.-13.3.11. 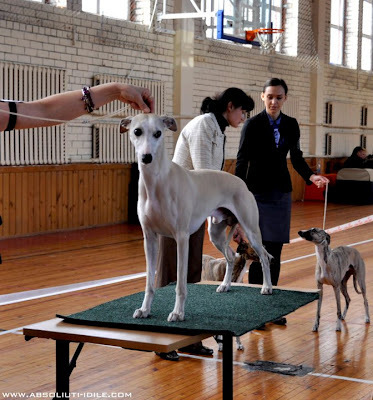 On saturday were Latvian Winner-11 Show, judge was Alenka Pokorn from Slovenia. She awarded Noah, Spellbound Forgetmenot Santana with exc/- and Leevi, Best-Looking Brooklyn with exc/cq. Sunday at Latvian Sighthound Speciality Show really was our day. 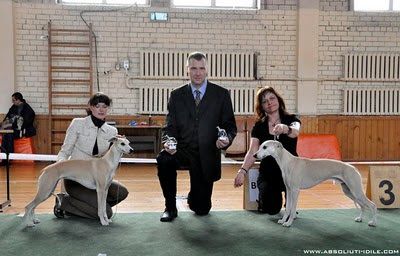 After a hard thinking between Noah and Leevi the judge Mr. Tesics György (Ben Ben´s), Hungary, decided to place Noah Best Male-2 and Leevi Best Male-1 and later also BOS!!! 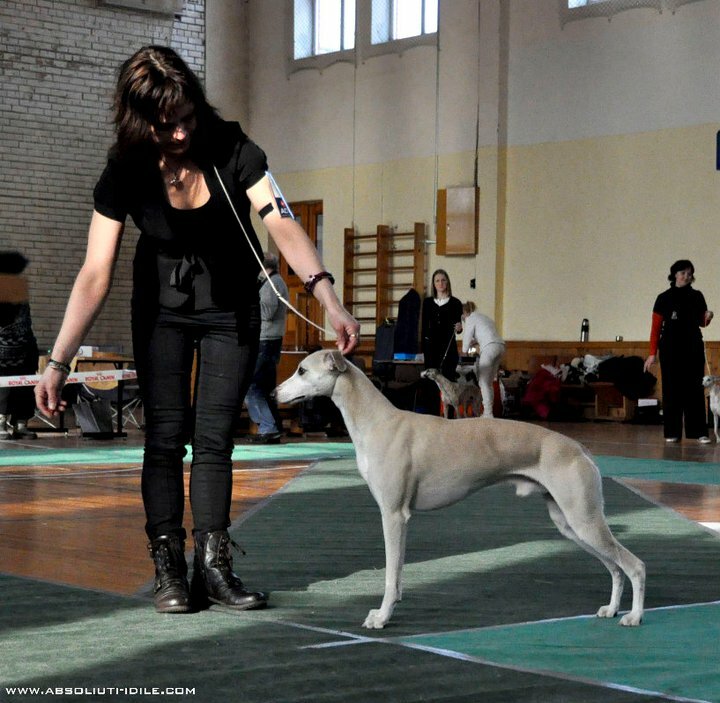 Leevi took LV CAC and gained now also Latvian and Baltic Champion titles! I´m so proud of both boys and thank you judge for appreciating them! Thank you also Vera Mahrova for handling Noah in BM competition! Pictures Ramune Balciuniene, Absoliuti-Idile and Marko S.